is your key to a perfect vacation in the US Virgin Islands. 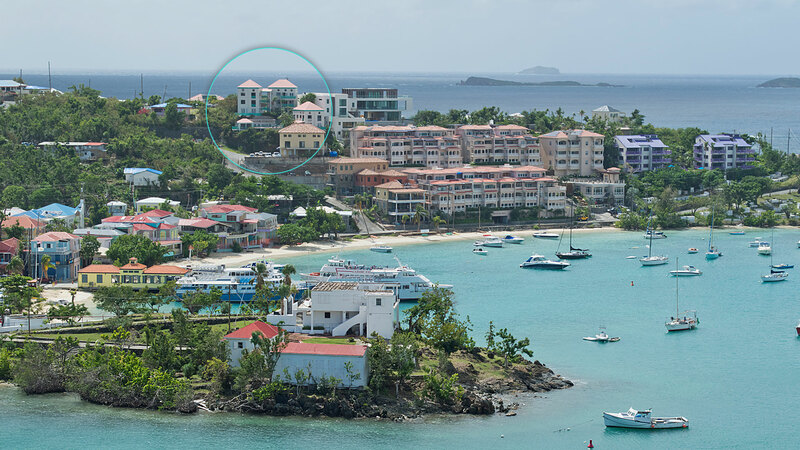 Located in the heart of “Love City” St. John, these wonderful condos are fully furnished and are available for rental year round. Please contact our manager for availability and pricing information. 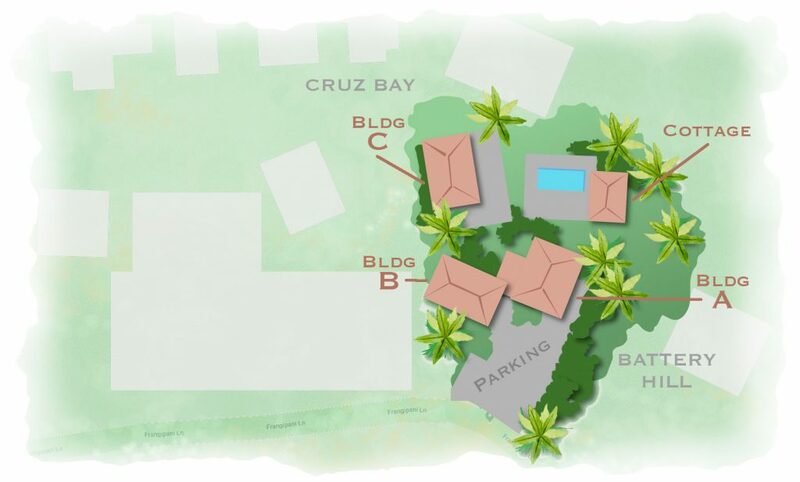 Battery Hill is comprised of eight 2-bedroom luxury condominiums and one 1-bedroom studio boasting dramatic views of enchanting Cruz Bay town, it’s bustling harbor and the turquoise Caribbean sea. All units are individually owned and reflect the decorating tastes of their owners; no two are exactly alike. There is dedicated off-street parking and it’s one of the few places from where you can walk into Cruz Bay for dinner without having to worry about parking in town! 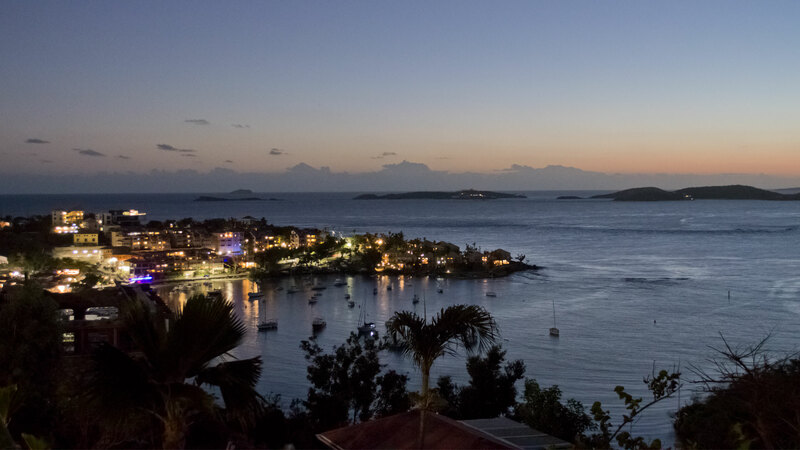 Enjoy the laid back life on St. John while making Battery Hill your base. Often overlooked by many visitors to St Thomas, St John has been a best-kept secret for years. Its off-the-beaten-path reputation has served to keep St John off the map of the large all-inclusive travelers. But the secret is out! In this age of travel blogs, travel forums and social sharing … visitors have returned home with digital memories to share with friends and family! This word of mouth publicity has driven a steady increase in visitors to the tiny island of St John. Discover Dozens of Beautiful St John Beaches! With over three dozen beaches to choose from – you won’t have a problem finding the perfect beach or beaches to relax and enjoy. Choose from the famous North Shore Beaches within the US Virgin Islands National Park. 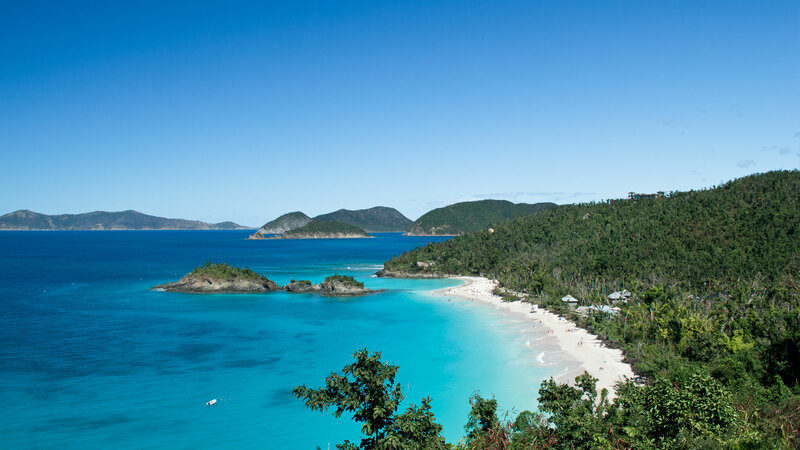 Trunk Bay, Hawksnest Beach, Honeymoon Beach, Cinnamon Bay Beach, and Maho Bay Beach are all favorites of guests. One of the things that separates St John from other Caribbean islands is the number and variety of high quality shallow water snorkeling spots around the island. With easy access from many of the nicest beaches – snorkelers can enjoy an incredible number and variety of marine creatures, tropical fish, sea turtles and rays! Because they enjoy the protection of the National Park – St John’s reefs and marine ecosystems are some of the healthiest in the Caribbean. Bldg A has 3 units. The Cottage for most purposes. It’s a standalone building across from the pool. Each unit has the entire floor of a building. ©2018 Battery Hill. All rights reserved.